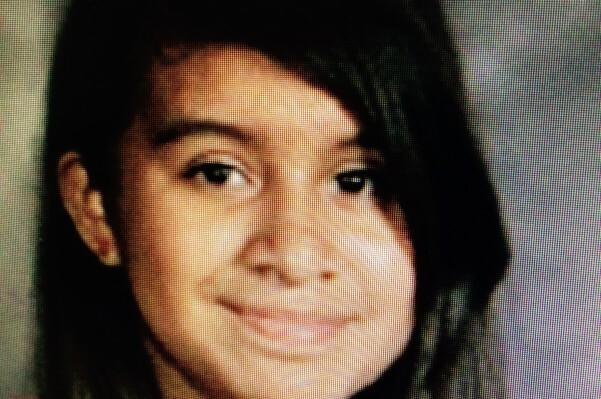 Andrea Gonzalez was 13 year old 8th grade student at Santiago Charter Middle School. She was tragically taken from her family and friends on Halloween while trick-or-treating by a hit-and-run driver. All three girls struck by the vehicle died at the scene. Her family, friends, classmates, teachers, and our entire school community is devastated by her loss. As the Principal of Santiago Charter Middle School and with the permission of Andrea’s parents, I have created this page to raise money to donate to Andrea's family to help with funeral expenses and other monetary costs during this time of tragedy. Andrea was a beautiful little girl with a warm smile, kind heart, many friends, good grades, and perfect attendance. May God be with her, and her family. If you are in a position to donate and would like to do so, please do so at this site. Please pray for all three little girls, their families, friends, and classmates. A close family friend of The Gonzalez family is hosting an event tonight as a fundraiser for Andrea's family and the family of Lexi and Alexandra. The event is sponsored by the Konsept Project as part of the Santa Ana art focus. It is being held tonight (Tuesday, November 11th) at 6:00pm at Chapter One in Downtown Santa Ana. The link is below. Please attend this event if you are able to as many community businesses and restaurants will be present to support the event. The address is: 227 N. Broadway, Santa Ana CA 92701. Thank you again for all of your support for the families of Andrea, Lexi, and Alexandra. Andrea's family has asked me to share with all donors how incredibly appreciative they are for the outpouring of support they have received from the community. Your prayers, thoughts, and donations have been felt by them and they want to thank each and every one of you for the love you have shown them. There will be Rosary Services on Friday, November 7th between 5pm and 9pm at The Cathedral of Holy Family located at 566 S. Glassell St. Orange, CA 92866. The Funeral Services will be on Saturday, November 8th at 9:30am at the same location. Please: No Cameras, No Videos, No Media, and No Interviews. Andrea's favorite color was Purple and many attendees will be wearing Purple to show their respects to Andrea. My deepest condolences the family. My God comfort you in this very sad time. I'm so sad. My thoughts n prayers go to their family n friends. May God give their hearts peace n healing!